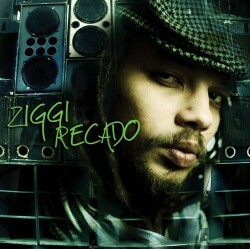 Dutch Reggae artist Ziggi Recado returns with his second Greensleeves/VP album. The self-titled studio album is 14 new songs, penned and mostly produced by the Holland based artist. Ziggi is from St. Eustachia (an Island near St. Maarten W.I.) and grew up in Holland. Heralded as the Netherlands #1 Reggae act, he has recorded and toured with many Jamaican and European artists and built a solid fan base over the years. Ziggi’s music is diverse, with hip-hop, rock, dub-step and other influences blended into a roots reggae foundation. The album includes Curtis Lynch, Rock 'N Vibes, and Special Delivery productions as well as appearances by Etana, Maikal X, Tippa Irie, Mr. Probz and others. The rock-flavored single and video ‘Get Out’ is currently bubbling on the charts in Europe and spreading through the network of core reggae fans. The album launch will be supported in Europe with a 15 date tour to be followed by West Coast US dates in summer.